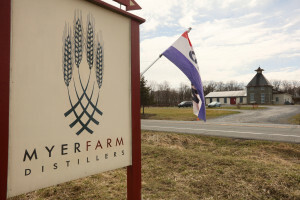 Myer Farm Distillers is nestled in the heart of the Finger Lakes Region of New York State, amid the thriving wineries of the Cayuga Wine Trail. 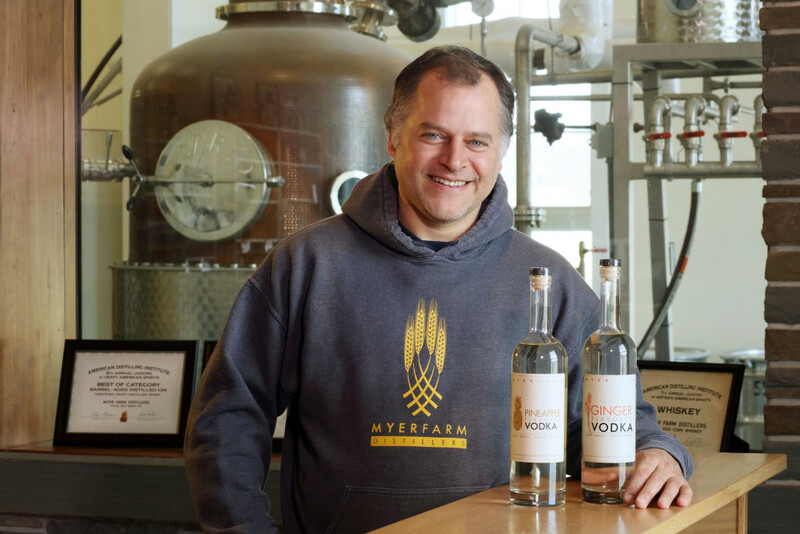 As a New York State Farm Distillery, they use International Certification Services certified organic grain from their own Myer Farm—one of the largest and oldest currently operating organic farms in the Northeast United States—to craft distill a range of spirits. 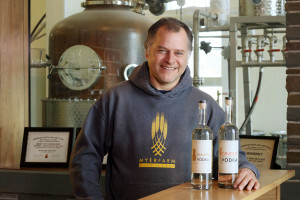 At Myer Farm Distillers, they both plant the seed and produce the spirit. The farm is located on what was originally part of Military Lot No. 13, the town of Ovid being among a group of towns in central New York State that were known after the Revolutionary War as Military Tract Townships. The distillery production and tasting room are, in particular, located on Lot 5 of the original John V. Grove farm, overlooking Cayuga Lake from the west side of State Route 89. The building was designed to reflect the old distilleries of Scotland. With a pagoda topped stillhouse paying homage to Scottish malt houses, finished in hand-cut and chiseled wall stone, they hope to give you a taste of the attention to detail and craftsmanship that has made them popular. Be sure to sample their Pineapple Vodka after tasting Barrister’s “Vodka soaked Grilled Pineapple spears”.